There are many books on the physiological changes mothers undergo during pregnancy, but rare are those that take an interest in their psychological journey during a period that is so full of all kinds of transformations. However, one book does exist, and the vulnerability caused by pregnancy makes it an especially opportune time for introspection. In the form of a reflective diary, this book encourages mothers-to-be to actively explore what is inside them, so as to gain control over the turmoil they may be experiencing, especially in terms of their personal identity, marital dynamics, stress management, and their relationship to their body and to those around them. Combining theory with a series of simple exercises, the author offers an invitation to future mothers to get to know themselves better in order to welcome their new role, as well as their newborn, in a calm frame of mind. 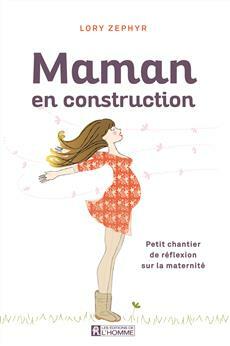 An original point of view on the process of pregnancy that sheds new light on nine months of major transformation. Concepts well expressed for non-experts, allowing readers to better understand the psychological process at work and feel truly equipped to get through various stages. A friendly, empathetic, non-judgmental tone that underlines the book's intimate nature. Simple exercises that make it possible to move smoothly from theory to exploring a personal reflection.